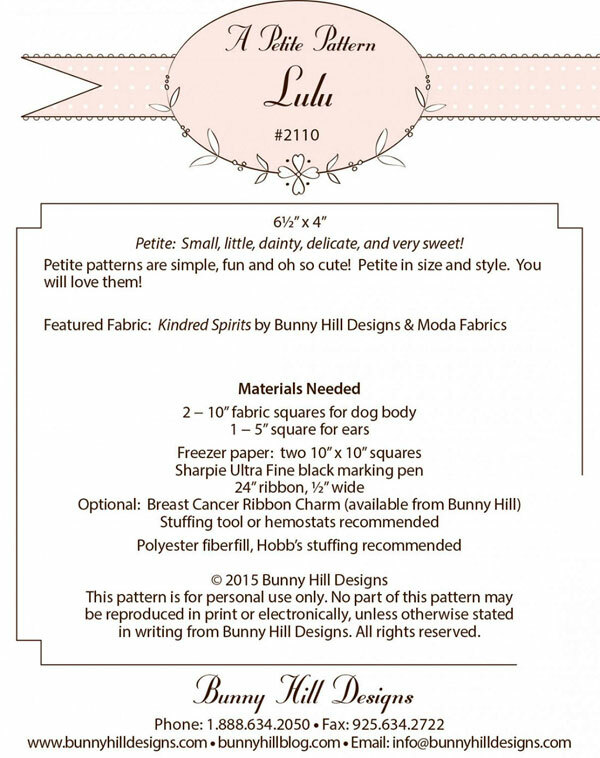 Lulu petite stuffed animal sewing pattern from Bunny Hill Designs by Annie Sutton. Finished size is 6 1/2" X 4". Lulu's your best friend, a comfort dog, she’s sweet and so easy to make. With her long ears and long body she’s sew easy to love. Fill a basket, decorate a present, use as a Christmas ornament, fill with lavender...you get the idea. The petite pattern size is perfect to tuck inside a card making a delightful secret sister/stitcher gift. 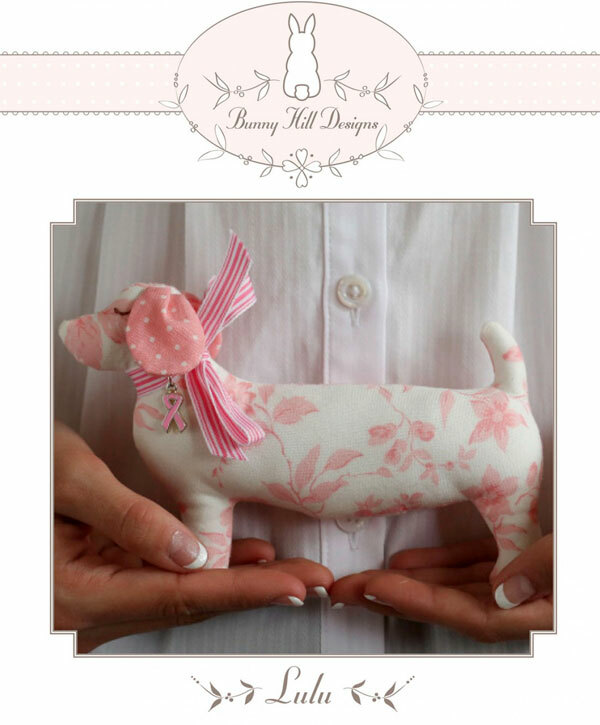 Click here for more Bunny Hill Designs patterns.